Imagine a country where the major cities are dynamic but not polluted, the people are genuinely friendly and the rural areas are still unspoilt? 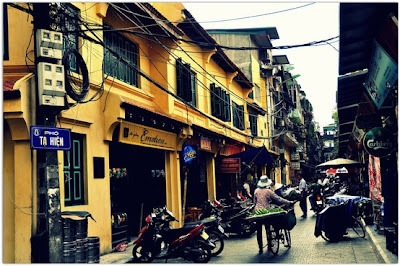 Vietnam with unique climate, fascinating history, stunning coastal getaways, majestic mountains and tempting food is definitely the country for you! Your first stop is Ha Noi, the city with the history of roughly 1,000 years. Must see destination is the Old Quarter which eventually retains most of its ancient charm since French colonial period. Let’s enjoy the quite time with a cup of Vietnamese iced coffee in a very unique way which is served on the balcony of the coffee shop and be prepared for up-coming challenge! 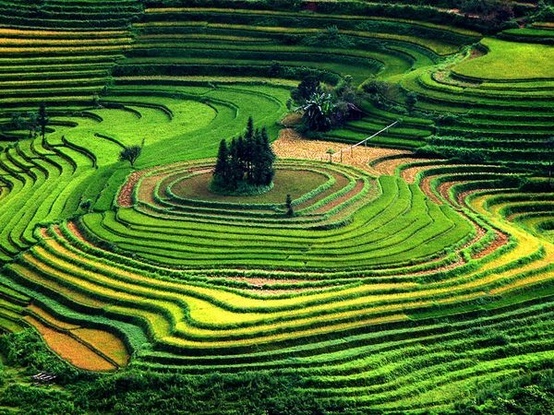 Leaving the major city, cycling routes across the Karst plateau of Ha Giang will amazed you. The route is very tough and tricky, and the mountain pathways are almost vertical in places. The landscape and natural conditions across the 1,600m above sea level area offer the perfect conditions for memorable experiences. Different from classical travelling tour, you will experience it in an untypical way. Local cuisine will astonish you! Ethnic men are also willing to teach you cooking their special food. As for accommodation, you will surely love to stay with a local family on their colorful tribes. To pass through place to place, you are going to do as a local person on your own foot or bikes. Be reminded that the area’s landscape is Karst plateau with numerous limestone mountains! Remote track can’t pass through mountains so that you will have to cross 45-km- pathway to Viet Nam yourselves by cycling. With the emergency backup for water, lunch and first-aid, you will ride through secluded valleys, verdant hills, hidden waterfall and switchbacks, which flows seamlessly into some sinuous riverside single track making for fantastic riding. Eventually emerge onto rough tarmac and climb before finally dropping down again to the hot springs of Viet Nam, where you can ease our aching muscles. From the madness of Hanoi to the untamed beauty of Ha Giang -- each of our destinations offered a unique glimpse into Vietnamese culture. It's not for everyone, but for those willing to brave the unknown, the country is ripe with untapped adventures. Hurry though. Sprawling resorts are popping up, and the booming tourism business has many young people learning how to cater to the nuances of Western culture more often than celebrating their own. Vietnam is a country on the cusp. In another decade, it may be a cookie-cutter tourist oasis. But for now, the spirit of Vietnam remains. Telephone: + 84- 9798- 00588. Address:No 9 Hang Buom Street, Hoan Kiem District, Hanoi, Viet Nam.